Branding and responsive website design and development. This stylist has been business for 20 years, the last 10 with with us. Opening a new salon, also opened new design opportunities. This time, Donna wanted and need more control over the content of the site. 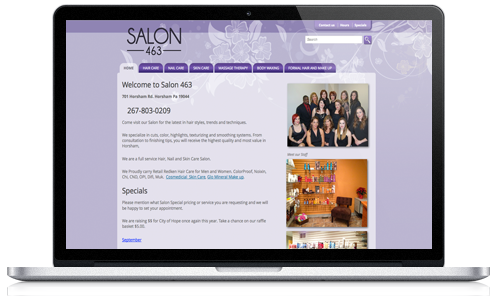 Designing a new WordPress site helped these stylists change their content on a daily basis. Many of their patrons are on the go, so making the website made since with this budget minded client.